X-Series cameras were born brilliant. The Fujifilm X-Series camera range has grown up from the humble beginnings of the X100. Now, with the third generation gaining continual popularity, it seems running into either a X100, X100S or X100T owner on the street, at a wedding or on your travels, is becoming more of a common occurrence. When you do happen to bump into one of your fellow X-Series photographers, a unique exchange happens. Normally a quick passing smile mirrors back at you as a silent appreciation for each other's gear philosophy succumbs each other's senses. It's then the pausing seconds become elongated before reality kicks in and the viewfinder draws your attention back to the scene. Sound familiar? It's 'Fuij' moments like these that shape what being a Fujifilm photographer is all about. It doesn't matter what colour your camera is or how often you shoot, the way you become part of the Fujifilm family of photographers is quite unique. As X-Photographer and X-Ambassador Zack Arias mentions, there's an often unspoken soul to the camera that appeals to many photographers and it's this unwritten code that become quite appealing. A great example of the kind of soul we're talking about can be witnessed through the eyes of X-Series Ambassador Tim Georgeson. 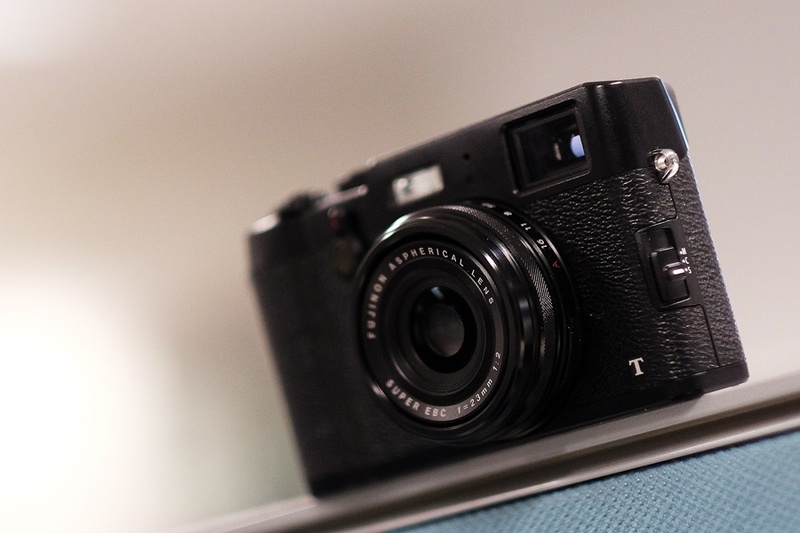 Like Tim, if you're a Fujifilm X100 series owner yourself can you describe the type of soul your camera has? Is the soul of your camera a feature, a new found scratch from a recent shoot, the used grip, the picture quality or something else entirely different? Let us know, because together let's find out what makes the X100 series a soulful range.